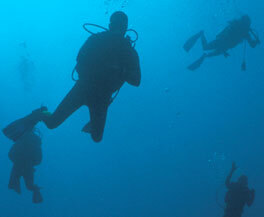 Great Pacific Diving organized a group trip to Cayman Brac, Cayman Islands from March 24 to April 1st 2012. We stayed at the Brac Reef resort (#1-rated resort on the island), and dived with Reef Divers, the resort-affliliated charter operator. From the moment we arrived in the Cayman Islands, the British influence was evident; from the picture of Her Majesty Queen Elizabeth and Prince Phillip, to the uber-polite airport and customs personnel, if you closed your eyes, you'd think you're in the United Kingdom! We took advantage of a small lay-over on Grand Cayman while waiting for our flight to Cayman Brac. Enquiring at the taxi dispatch kiosk at the airport, we quickly found ourselves with an offer from one of the operators to take-us on a guided tour of the island, including downtown, 7-mile beach (where Amanda and Eleanor went swimming), and of course "Hell" (which may have been borne from the absolutely bizarre limestone rock formations, but also from a tongue-in-cheek perpetuation of "how-the-hell did this come about? "); Nicknames as only the British could conjur! Enjoy our Cayman Brac Video!! Completely unique limestone formations that give this version of "Hell" a post apocalyptic feel. The first day of diving introduced the GPD team to one of the finest dive operators we've ever used. 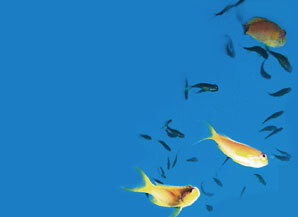 Reef Divers is operated by members of the same related-family that owns and operates the resort. The resort was sold-out, and all hands were on-deck to operate their 4 charter boats. Reef Divers uses purpose-built 46' late-model vessels that are equipped with all the safety gear (including an AED! ), oxygen, first aid fresh water rinse shower, fresh drinking water and tons of room for gear and lounging. One of the most remarkable services that Reef Divers offers is a "full-valet" dive experience. To start the week of diving, we just left our gear bags outside of our rooms in the morning; arriving at the boat, the tanks, BC's and regs were all set-up and waiting. The boat crew would insist on having each diver sit on a staging platform at the stern, suited-up with their masks & fins. They would bring your diving system to the platform, and assist in putting-it-on. At the end of the dive, the boat crew would remove your tank/BC/reg system from your back, change the tank, and repeat the same valet service for each and every subsequent dive. At the end of the dive-day, the BC/tanks/weights/regs are all left on the boat, to be readied for the next day's adventures. This is superb service at its finest. The first dives of day-one were done at two of the premiere reefs at Little Cayman Island (about a 45-minute trip). All the normal Caribbean characters were present, with a special guest appearance of a 6' black-tip reef shark. Seemingly, all of the fish on these reefs were accustomed to divers, as turtles, Nassau Groupers and many others would remain with the divers, and delight in posing for the photographers. I had never seen such compliant fish life before; a possibility of long-term feeding by divers has occurred. Adrian watches over Ken and Dan while they completed their pre-dive equipment inspection. With Reef Divers' valet service, the tank/BC and reg systems were carried by the boat crew to the staging platform at the rear of the boat, and the crew would help each diver put the gear-on. The whole process was reversed at the conclusion of the dive. We were lucky enough to swim with a real professional photographer: Ken "swims his stuff" (aquatic version of strutting) with his Aquatica D3S system). James is in the background. Amanda swims around a 3-metre (10-feet) stand of Pillar Coral. The aquatic life around Cayman Brac and Little Cayman was spectacular!